Vaporum has been out for a year! -40% week-long sale (starting today at 19:00 CET) on Steam and Humble Store. 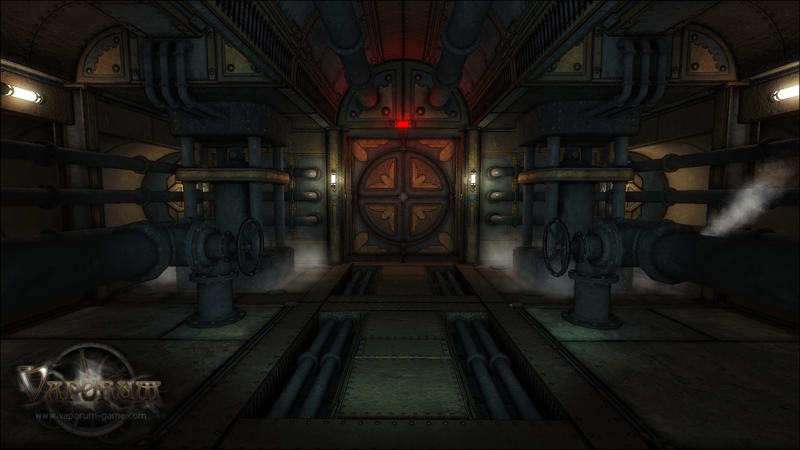 We’re releasing an early prototype of Vaporum from late 2014 (Windows only). Download here! We’re working on a prequel to Vaporum! Time flies. It’s been a year since we launched the debut game of our small studio — Vaporum. We’ve managed to do quite a lot during this time. The game has won several awards: Best Graphics at Game Access 2017, Best Game Design and Best Debut at Slovak Game of the Year 2017. It’s doing good in terms of ratings, with 90% on Steam, 4.5/5 on GOG, and 78 points on Metacritics. It’s been localized into 11 languages and ported to both Linux and Mac. And currently, we’re working on ports for Xbox One, PS4, and Switch. We’ve released 12 updates, including the extensive Accessibility Update, which was our attempt to make the game a lot more accessible to people with disabilities. One of the major parts of the update was the Stop Time Mode, mostly aimed at players who found the combat and the timed puzzles too hectic, or outright impossible due to a physical disability. In another big update, we enhanced the RPG system with a new exo-rig and three new circuits. This greatly increased the number of possible combinations of rigs and circuits, which allowed our players to replay the game with fresh ideas on how to build the character. We’re quite proud of the game and we’re very happy players receive it so well. It’s a great feeling of satisfaction when the game is well received by the people for whom you’re making it. The journey to releasing Vaporum was not easy, and that’s why this anniversary is not only a celebration of the release, but also the path to it. On this occasion, we decided to run a -40% week-long sale (starting today at 19:00 CET) on Steam and Humble Store, and also release an early game prototype that we used in our search for funding for full development. The prototype represents a single level, showing our rough vision of how the game could work, what types of gameplay situations the player was to experience, and the general atmosphere. The prototype also served to see if the mechanics the game was built on worked or not. A small group of about 8 friends and relatives, quite spread all across the spectrum of gaming genres, focus-tested the game and gave us lots of invaluable feedback on things that weren’t working, but also gave us a signal that the game had good potential. Of course, the prototype is buggy and rough around the edges, and should be taken with a grain of salt. Multiple systems are provisional (RPG, AI, etc…), implemented only up to a state of being able to present our vision. Therefore, we don’t guarantee anything; it very well may not even run on your machine. It’s not a full game or a demo. Please take the prototype as is. It’s just a curiosity from the history of development of Vaporum, for you, the fans. It’s you, our players and fans who we make games for. We’d like to thank all of you for all the support you’ve given us. PS: Feel free to tell us what you think about Vaporum, either by writing a review on Steam or GOG, joining our Discord server, or by following us on Twitter or Facebook.